I realized I screwed up on a flight to New York . I was looking at the ailerons on the Boeing 757 out the window, as I usually do when flying, watching how all the stuff in the wing works when it dawned on me. 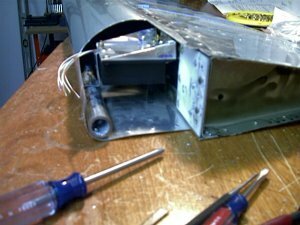 This gismo below, an aileron electric trim servo belongs in there.... And I forgot to put in in while building mine. UUGGHH!!!!! I wanted to jump out of the plane when this hit me. I was very mad$#@%$#@$. How did this happen? Well I'm not sure. Pretty much a brain cramp. It is an optional feature that does not appear in the standard plans. I ordered it several months ago and it has been sitting very nicely in a box under the workbench. Out of sight and out of mind. Which caused me to forget I had it. 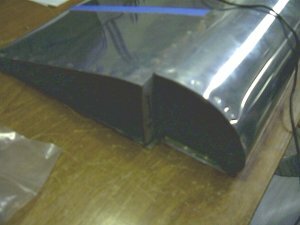 So now came the task of retro fitting it into my perfectly finished aileron. Not fun, but it can be done. First drill out rivets in leading edge rib and remove it. 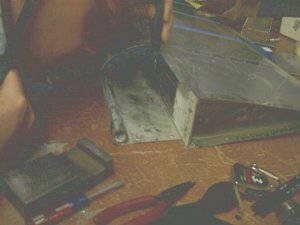 Then you use a dremel tool to cut into the aileron leading edge. (I hate cutting into perfectly good metal. You can't just start over.) It should look like this. 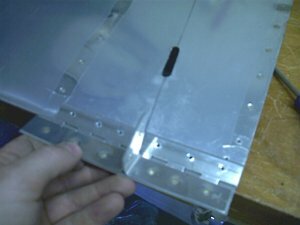 Then make a removable lid for access to service it in the furure, rivet the back plate in, and have it looking something like this. Then rig the mount tray, plate nuts etc onto the spar. I deviated from the plans here. I was not comfortable with the way they had it. 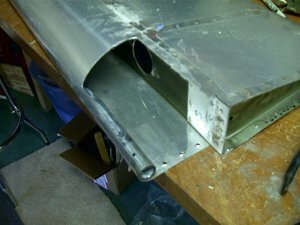 I have mine supported in the rear to the steel pipe with a bracket. 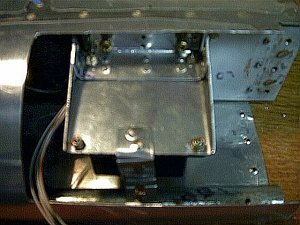 This is much sturdier and less likely to have vibration cause fatigue in the metal. Then screw the access plate on and your done. 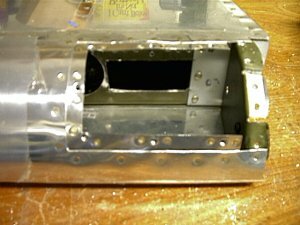 The servo will move a hinge mounted trim tab riveted to the trailing edge of the aileron. The hole (also made with the dremel and cut off wheel) will have a rod passing though it, and will attach to the control horn you fabricate out of scrap material. 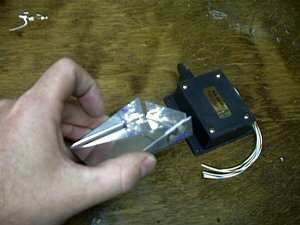 This takes about 5 times longer doing it after the aileron is built, so if you got this option, DON'T FORGET to do it while your building the aileron.